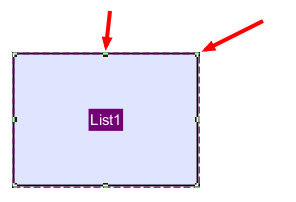 PDF Studio 9 and above is capable of creating List Boxes. List Boxes are used to allow users to select an option from a list of available text options from a scrollable window within the PDF document. 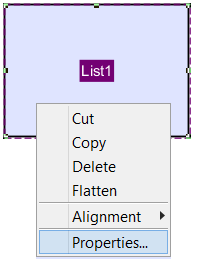 To create List Boxes follow the steps below. Once you have completed placing the List Box you will need to set the options available within the drop down menu as it will initially be blank. 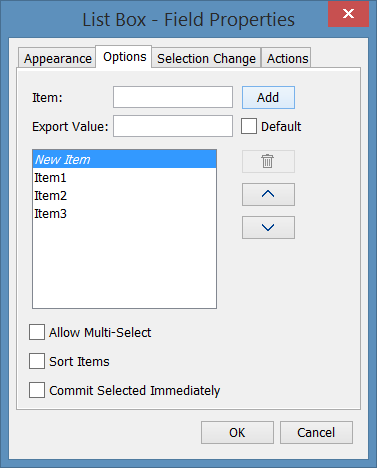 To open the List Box’s settings menu either double click on the List Box or right click and select properties. You can edit the List Box’s specific settings to customize the List Box even further using the other tabs. Repeat steps 1-9 to create as many List Boxes as you need.